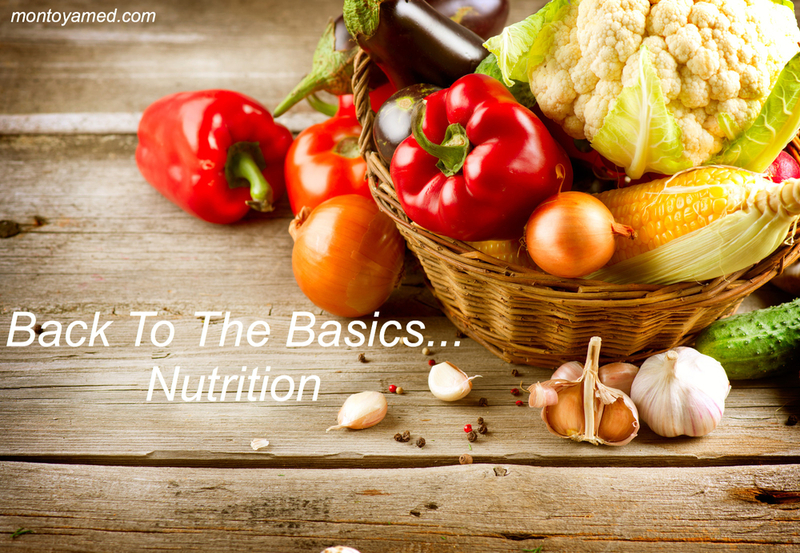 In my previous post I briefly touched on a few basic things I feel are absolutely fundamental to your well being: nutrition, movement, sleep. Over the next few weeks I'll delve a little deeper into each subject giving some info from both a Western AND Eastern perspective. While I love the effectiveness of acupuncture and herbal medicine, I know that if you're truly trying to create significant change in your health, you simply CANNOT IGNORE the fundamentals. The food choices we make truly do set the foundation for our health, and while most people make the connection between food and their digestive issues (acid reflux, gas, bloating, constipation), it can sometimes be difficult to make the connection between dietary choices and other health issues. Beyond digestive disorder, poor food choices can set the stage for issues such as chronic inflammation and pain, hormone imbalances, allergies, skin conditions, and much more. WHAT DOES ORIENTAL MEDICINE HAVE TO SAY ABOUT IT? In Oriental Medicine we look toward food as nourishment for the blood, qi, yin fluids, and yang energy. We also look at foods as having warm/hot, cool/cold, or neutral temperatures--all of which impact overall health. Even flavors make a difference because they influence different organs. For example, sour foods influence the liver, salty flavors go to the kidneys, bitter/spicy influence the heart, pungent taste enters the lungs, and sweetness affects the spleen. While flavors can be used to heal the body, over consumption of certain flavors can impact the organs in a negative way. As always with Oriental Medicine, it's all about balance. Incorrect foods choices can create pathologies such as too much dampness, phlegm, heat, or even coldness in the body. Every person's body type varies. So, certain foods have to be eaten in moderation, while others can (and should) be consumed in higher quantities. Qi Tonics: Qi is the energy of the body and can become weakened due to things such as poor nutrition, overwork, chronic illness, or old age. Common signs of qi deficiency are fatigue, low immunity, and weakness. Qi tonifying foods include beef, chicken, apples, avocados, dates, figs, beets, shitake, squash, sweet potatoes, almonds, walnuts. Blood Tonics: Blood deficiency is common among women due to their menstrual cycle, but other factors such as poor dietary choice, and injuries can all impact the quality of the blood. Some people may get an actual diagnosis of anemia from their doctor when they are blood deficient, but lack of an anemia diagnosis does not rule out deficiency. Some of the more common signs of blood deficiency are pale complexion, dizziness, poor memory, fatigue, dry skin/hair, hair loss. Blood nourishing foods include things like beef, liver, chicken, eggs, cherries, dates, goji berries, raspberries, beets, kale, spinach, black beans. Yin Tonics: Yin represents the fluids in the body. Overwork, aging, excessive blood loss, stress, and chronic illness can all lead to yin deficiency. Hot flashes, night sweats, dry eyes, thirst, heat in hands/feet/center of chest are some yin deficiency signs. Foods such as eggs, yogurt, cheese, pears, fish, watermelon, asparagus, yams, cucumbers, beets, and honey can help nourish yin. Yang Tonics: Yang energy warms and energizes the body. Aging, excessive sexual activity, chronic illness, and improper nutrition can all impact the yang. Common signs of yang deficiency include sensation of coldness in the low back region, frequent urination, lower limb edema, weakness/soreness in knees, hair loss, infertility, fatigue. Yang nourishing foods include lamb, beef, chicken, onion, cherries, dates, black beans, walnuts, black sesame. Body temperature is also something that diet impacts, and having too much cold or too much heat in the body can lead to various health issues. If an individual has a lot of coldness in the body it's a good idea to minimize iced beverages, salads, smoothies, ice cream and add in warming things such as ginger, cinnamon, hot tea, bone broth, and cooked (rather than raw) vegetables. On the other hand, if someone has too much heat in the body, reducing spicy, pungent foods, greasy/oily, and fried foods is a good idea. Focusing on foods such as seaweed, pears, cucumbers, celery, and aloe vera may be helpful for those with heat signs. Similarly, eating for the seasons is key. Avoiding cold/damp food on rainy, cold or snowy days or minimizing hot/spicy/fried foods on hot summer days can all help maintain balance in the body. WHAT ABOUT FROM A WESTERN PERSPECTIVE? I'm a true believer in diet rich in high quality fats, proteins, vegetables, and fruit. By working with patients and observing the healing process for almost a decade, I see people tend to thrive when taking more of a primal diet/paleo diet approach when it comes to grains. I've seen many patients improve their health and wellness by focusing on this way of eating. THAT BEING SAID, I don't feel every person does well by drastically cutting carbohydrates in their their diet. There are many factors to consider, and no diet is a one-size-fits-all type of thing. Body type and the constitution of the individual are key. That being said, our society has a real problem when it comes to the over-consumption of processed grains. Those plates of pasta, sandwiches, crackers, and giant bowls of cereal and toaster waffles for breakfast are simply not healthy. Is gluten-free a better option? Many people do react negatively to gluten containing foods, and elimination of gluten can be life changing for those individuals. However, some people make the mistake of exchanging gluten-containing processed foods for non-gluten containing processed foods. Remember, just because it says gluten-free on the label doesn't automatically mean it's healthy. When people are dealing with digestion disorders, inflammation, weight gain, or blood sugar problems, eating more of a grain-free diet can make a huge impact. But, if overall you are healthy and just looking to stay healthy, the 80/20 rule seems to work well for many people. Be diligent with your food choices 80% of the time, and throw in those mini cheats the 20% of the time you're out with friends, family, or on vacation. OKAY, SO WHAT THE HECK AM I SUPPOSED TO EAT? Remember, eating too many grains, too much fruit, or even too many root vegetables can raise blood sugar to unhealthy levels for some people. So, it’s often best to eat these foods in moderation. Simple carbohydrates: ‘short-chain’ carbs the body quickly absorbs. The quick absorption results in unhealthy fluctuations in blood sugar levels. For Cooking: Coconut oil (organic, virgin, cold-pressed and free of bleaching/deodorizing agents, and artificial flavors) and organic grass-fed butter are good for cooking at higher heats. Olive oil used at low temperatures is also okay. If you are looking to start minimizing processed grains and increasing healthy fats, meats, vegetables, and fruit there are many great resources online. While many websites and health figures can be extremely dogmatic about their way of eating, I must restate that I feel no diet should be one-size-fits-all. Whether it's Mark Sisson's Primal Diet, Loren Cordain's Paleo Diet, The Weston Price Foundation,The GAPS Diet, Dr. Perlmutter's Grain Brain Diet, or Eat Right For Your Blood Type they are all going to have bits of information to better educate you and help you make more informed food choices. People suffering from digestive disorders such as IBS or Chron's often benefit from a more Paleo Diet/GAPS diet approach to healing the intestines. As you can tell from most of the websites I've mentioned, I'm a fan of minimizing processed grains (and grains in general), but remember, there is always a spectrum when it comes to food. I tend to pull bits and pieces from multiple sources when deciding what works best for me and when counseling patients on food. There are times when certain foods need to be eliminated from the diet, or added into the diet, to help the body heal and thrive. Hopefully, by reading the information from the above mentioned websites, you'll begin to compile tools that will help you make more informed food choices, and give you options so you can test and see what works the best for you and your body. Here's to a healthy and happy 2015 full of delicious and nutritious food! Posted on February 8, 2015 by JoAnna Montoya, L.Ac., Dipl.O.M. and filed under nutrition, digestion.